Kristallweizen, a German beer style, is a filtered wheat ale. 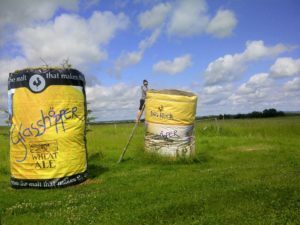 It’s a unique and accessible style that provides a fantastic entry point to craft beer for any beer lover. 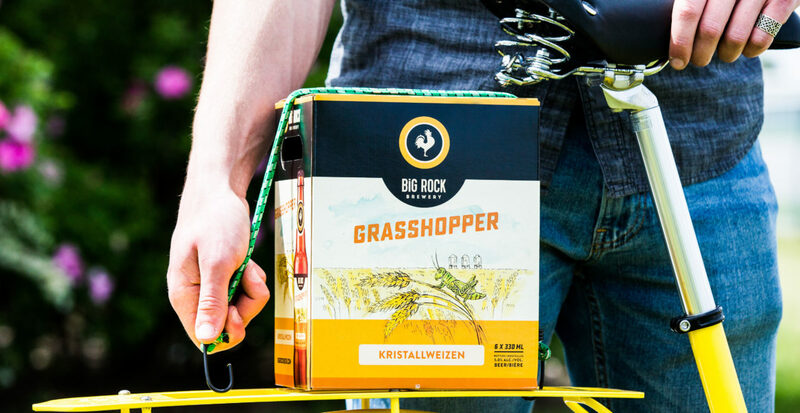 Whether you’ve just started your craft journey, or are simply looking for something infinitely refreshing, Grasshopper, our kristallweizen wheat ale, fills the order. It stands out with a crisp finish complimented by fruity and bready notes. 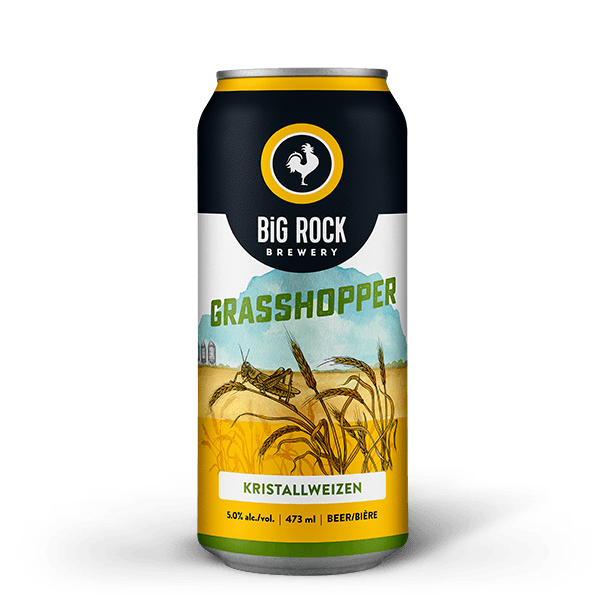 Big Rock’s Grasshopper’s brilliant golden yellow colour comes from the filtration process where yeast and other sediment from the brewing process is removed from the beer. This process gives Grasshopper it’s clean, crisp finish, while the Willamette and Saaz hops leave you with fruity or citrusy notes – perfect for anyone wanting a refreshing beer. Grasshopper hay bales in Alberta circa 2008. 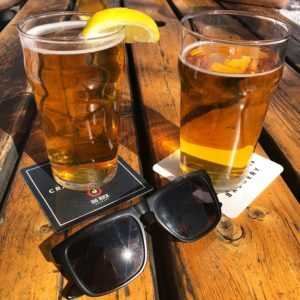 So, whether you’re new to craft beer or have been enjoying all the tasty brews from across Canada, this kristallweizen will keep you coming back for more. The simplicity and smooth taste has been a game changer for craft beer since 1994. We may be biased, but we think it’s one of the best beers in Canada. Having been around for over 24 years, people seem to agree. It’s given drinkers the freedom to experiment with new flavours by adding a slice of lemon, lime or even a slice of orange to their fresh pint, making it their own. The Great Big Rock Grasshopper Debate: Wedge or no Wedge? We can’t blame the person who started this. As you raise your glass, your senses are tingled by the lemon, lime, or orange aroma. The tartness of the citrus fruit accentuates certain properties of the Weizen yeast and the citrus qualities of the brew. It’s a delicious way to enjoy your Grasshopper. We love the debate. We believe there’s no wrong way to drink a Big Rock Grasshopper. In recent years, pints of Grasshopper have popularly been served with a fresh citrus wedge. Wedge or no wedge. Do your thing and enjoy YOUR Big Rock beer. Any way you slice it, Grasshopper Kristallweizen is the clear choice.